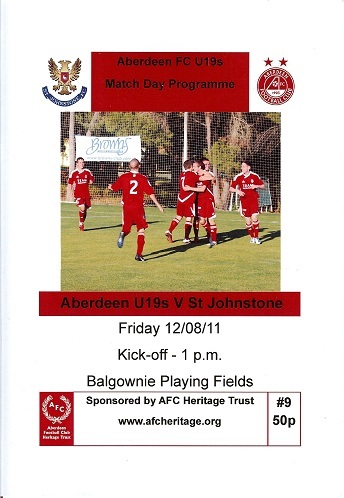 Delighted with the response to the programmes issued for the Aberdeen Under-19s during the latter part of last season, AFC Heritage is delighted to announce that it will issue programmes again this season. We got off to a great start with the first match when a crowd of 100-150 turned up to see the youngsters defeat St Johnstone by 4-0. The Trust would like to take this opportunity of wishing the Young Dons every success this season. The are, after all, our future heritage. Come on you Reds!